The Silence of the Lambs Research Papers look at the book by Thomas Harris about a sociopath and serial killer Hannibal Lecter. 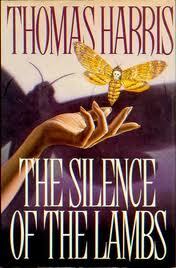 Thomas Harris’, The Silence of the Lambs, is a book that, in the opinion of this writer, is very well done. I personally found it difficult to put the book down. It takes us into the world of a particularly malignant class of sociopaths, serial killers, and the men and women who try to bring them to justice. One of its great strengths is that it appears to be extremely well researched; one comes away from a reading of this book feeling that one has learned a great deal about both forensic psychology and about the FBI. But it is a book that could have been even more that what it is; it could have been a classic book about the anatomy of evil. At times it flirts with this, but it never quite escapes from being a sensational presentation of facts rather than a moral commentary. Given his gifts, had Harris made it the latter he might have authored a classic. In the first interview between Clarice Starling and Hannibal Lecter we find the moral issue addressed. It is raised by Lecter who takes exception to Starling’s stereotyping of himself. She has remarked that taking a questionnaire might enable Lecter to understand why he is in confinement. It might, she says, give him insight into what has “happened” to him. In one of the best speeches of the book Lecter replies angrily that “Nothing happened to me… I happened. You’ve given up good and evil for behaviorism… nothing is ever anybody’s fault.” The point being made is quite deliberate on Harris’ part. That point is that current psychiatric thinking down plays the reality of the existence of pure evil, that it reduces evil to causal explanations that absolve the perpetrator of moral responsibility. Elsewhere in the book he notes that numerous articles had appeared in professional psychiatric journals concerning Dr. Lecter, but that in none of them did the word “evil” appear. Two things are noteworthy about Dr. Lecter. One is that, like the FBI, he is a little “too good” to be true. He is more erudite, more accomplished, more resourceful than seems possible. Indeed, Harris himself can’t keep up with his creation. He writes of Lecter listening to Glen Gould’s recording of Bach’s Goldberg Variations, “The Goldberg Variations interested him structurally. Here it came again, the bass progression from the saraband repeated….” There is no saraband, a slow dance found in Bach’s French and English Suites (also famously recorded by Gould), in the Goldberg Variations. Lecter’s almost super-human abilities are overdone. Monster Movies From 1965-1991 research papers at how the censorship of horror movies has changed from the 1960's to the early 1990's. Beyond Good and Evil - Research papers on Beyond Good and Evil by Nietzsche can be custom written for you. Paper Masters provides solid academic writing on this classic philosophy work by Nietzsche. Paper Masters writes custom research papers on The Silence of the Lambs and look at the book by Thomas Harris about a sociopath and serial killer Hannibal Lecter.